An evergreen shrub to 3 m with small glossy leaves. 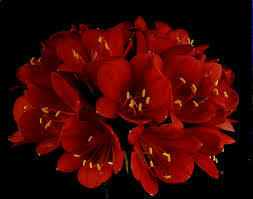 Native to south-east Asia and China, prefers sun or part shade and tolerates coastal conditions and moderate drought. 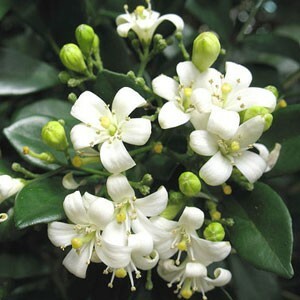 Heavily scented white flowers in spring and summer attract bees, followed by small red berries which attract birds. Used as an ornamental garden plant or hedge. A fruiting shrub native to India and Iran growing to 4 m. Hardy ornamental suited to most soil types and used as feature plants, hedging, container plants and bonsai specimens. 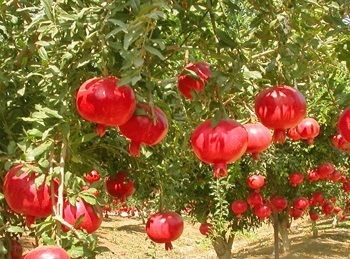 Large flowers are followed by hard skinned round fruit containing translucent red arils. The flesh is sweet/tart surrounding edible seeds. The fruit stores well in cool/dry storage and continues to sweeten. 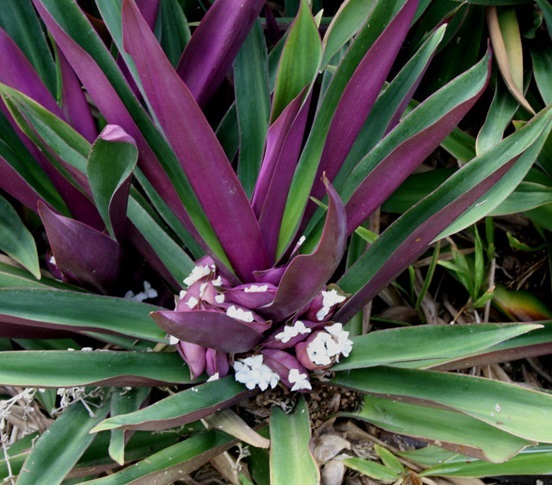 Growing up to 30 cm in a clumping habit, in rosettes of green leaves with contrasting purple underside. White flowers appear throughout the year. Tolerates dry conditions, is very hardy and low maintenance. Used as a groundcover, edging and pot plant. An evergreen tropical tree growing to 2 m, native to eastern Asia with glossy green leaves. Hardy and low maintenance, preferring well-lit but indirect sun light. Long panicles of white/green flowers are followed by berries that are purple when ripe. Ideal bonsai or houseplant. Native to eastern Asia, the Himalayas and Japan, despite the name, is not a bamboo. An erect, evergreen shrub growing to 2 m tall, spreading 1.5 m, sometimes deciduous in colder climates. New foliage in spring is pink/red turning to green while older leaves turn red/purple before falling. 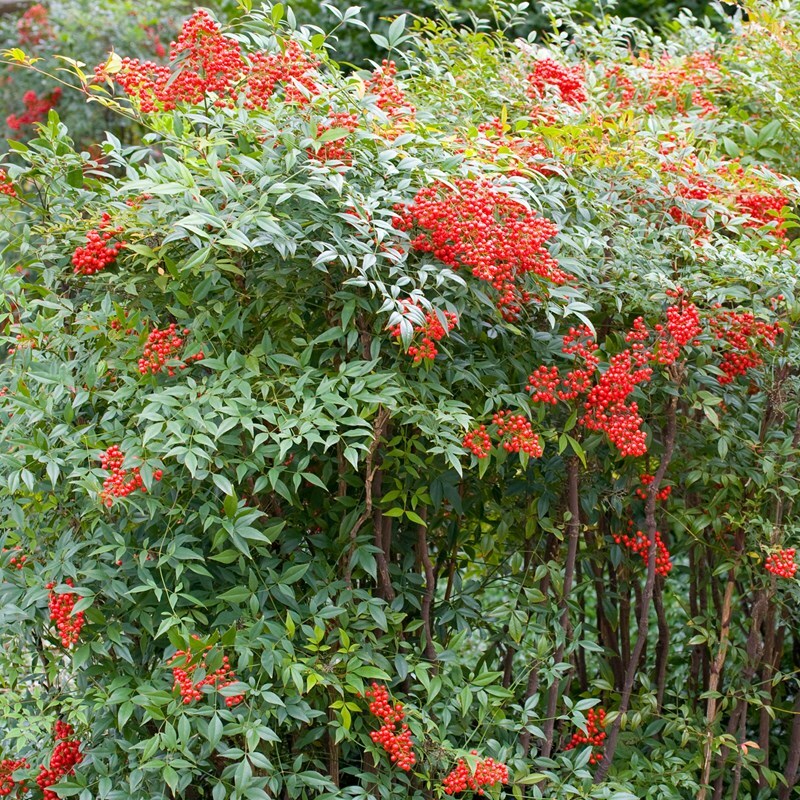 Clusters of white flowers appear in early summer followed by bright red berries. Hardy, low maintenance shrub and popular landscape specimen. 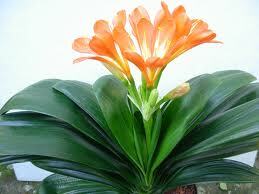 Clivia miniata Belgium Hybrids - order now for upcoming collections! OUR SEED SELECTIONS OF THE WEEK! 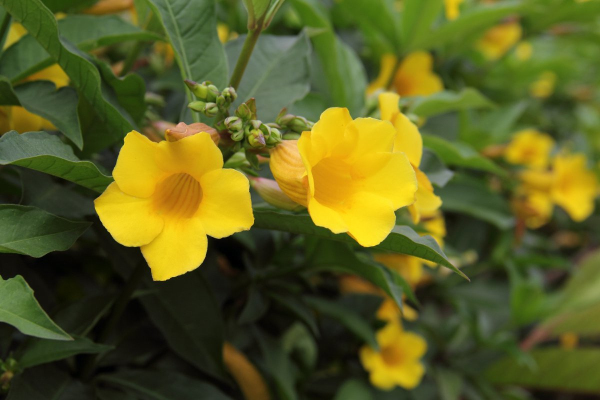 Native to Brazil, Allamanda neriifolia is an evergreen, ornamental shrub growing 1.5 to 3 m tall with a spread of about 2 m. Fast growing in full sun or partial shade in the garden or pots/tubs. Large yellow flowers appear all year, most predominantly in spring, followed by spiny fruit pods in summer. Native throughout Asia from Japan to India, Lagerstroemia indica is a deciduous tree growing to 6 m tall. A showy ornamental garden specimen that sheds its bark after summer, revealing a smooth and attractively mottled trunk. Flowers appear mid to late summer. 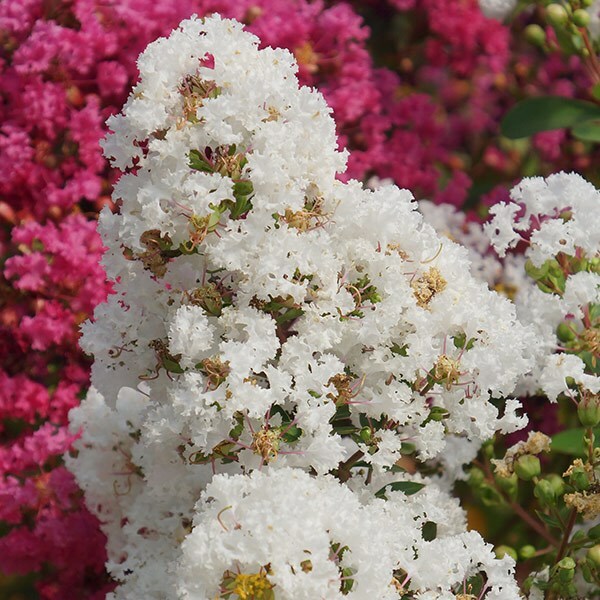 Lagerstroemia indica prefers full sun, is frost tolerant and drought hardy once established. Grows in most soil conditions. 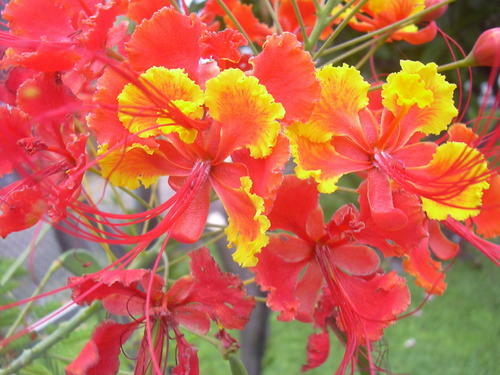 Caesalpinia pulcherrima is endemic to the tropics and subtropics of the Americas. A shrub growing to 3 m, it is sensitive to cold but will regrow mid to late spring, preferring warm climates with mild winters. Flowers throughout the year are red/yellow/orange and attract butterflies. Caesalpinia pulcherrima makes a striking ornamental garden specimen as a feature plant or hedge planting. July/August 2018 Newsletter and Fresh Harvest List are now available! Click here to view the Newsletter and Specials. Click here to view the Fresh Harvest List. For orders and enquries, visit our webstore or contact us by phone or email. Download our catalogue to view our entire range of seeds. We look forward to assisting you for all your seed requirements!